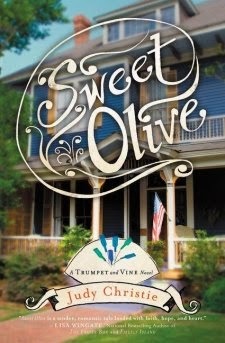 Sweet Olive is about a tough, independent woman working in the oil business and wrestling with a moral dilemma when the residents of Sweet Olive, Louisiana are reluctant to sign over their land rights. Camille Gardner wants to be fair and generous with the landowners, but she also wants to get it done and get out of town. With no interest in settling down in a small town, Camille is surprised to find herself drawn to the landowners, to their small town sense of community and especially to the handsome attorney representing the landowners. In the charming community of Sweet Olive, Camille finds her tough exterior refined and her faith revived from a painful past. Camille navigates the fine line between humanity and big business without minimizing her career and goes on to find love in unexpected places. Sweet Olive is a great book. I’m thrilled to find Christian fiction that is current and well written. The characters brought the book to life and I enjoyed every minute of it. Sweet Olive is available in print or electronic format. Disclosure: The product in this review was given free of charge. My opinions are my honest, tried-and-true views and were not influenced by any source. I was not compensated monetarily to advertise this campaign.